Ask anyone who rides motorcycles and they’ll tell you there’s nothing quite like the thrill of speeding down the open road on two wheels. But it’s also a challenge that requires focus, hand-eye coordination, and quick decision-making. Realizing how these skills can help rehabilitate patients led Garry Segal to launch Motorcycle Therapy. 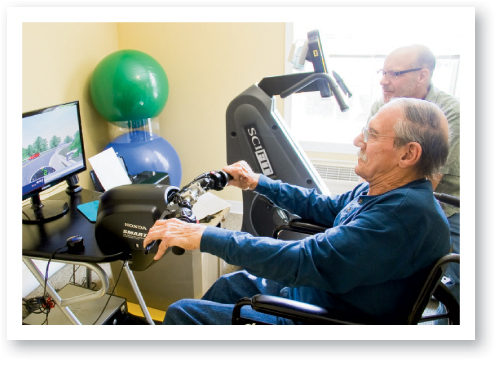 The Hendersonville-based program works with area hospitals and long-term care facilities to exercise patients’ cognitive and motor skills using a virtual riding simulator.